Dr. Wallace Gray died Sunday, February 3. I met him over fifty years ago at Southwestern College, Winfield, KS where he was the Kirk Professor of Philosophy and Religion for forty years. His enthusiasm and inquiring mind led me into a lifelong study of life, religion and people. Recently he helped me polish my book, Living in the Spirit. We saw Wallace last October when we returned to Winfield for my fiftieth class homecoming. He made a huge impact on my life. I’ll miss him. Dr. Wallace, rest in peace. True story well told, but hindered by mediocre quality. Missionary Graham Staines spent 35 years of his life working among lepers in India. Both his motives and his methods were questioned by some people. The story follows a young journalist who set out to prove Staines was a fraud. Instead he found was a man who had made the world a better place because he expressed selfless love to all people. Telling the story from the point of view of askeptical Indian reporter increased depth and drama. Sharman Joshi and Shari Rigby were convincing, but Stephen Baldwin not. Production values were made-for-TV level. The sound didn’t synchronize with the picture. A good movie despite that. 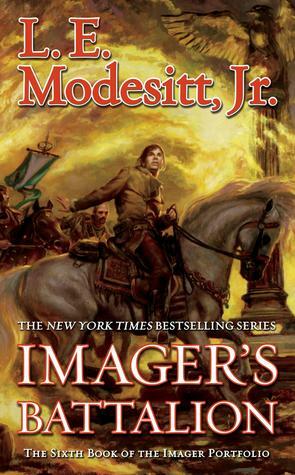 Book Review: Imager’s Battalion (Imager Portfolio #6) by L. E. Modesitt Jr.
A fun story, well-told, but lots of repetition–and war. One continuous series of battles with the climax mirroring that of the previous volume. Every skirmish and every staff meeting, not to mention the bureaucratic in-fighting, related in excruciating detail. “He doesn’t forget, Quaeryt.” Neither do I. Ever. Book of Rholan has become Modesitt’s philosophic hand puppet. Much of that philosophy–in fact the basic plot–is foreshadowed in the first three books of this series, which occur hundreds of years after this book. Editing quirks: “In less than a fraction of a quint …” Twice. “Rain began to come down.” What else? Dozens of blotting head and adjusting brim cap. We not only see the son, but by his light we see everything else as it really is. But we stand in the way of his plans. We must die to our current selves and receive a new life–the living presence of Jesus. That changes everything. I’m in the final phase of my Hugo finalist reading, concentrating on the Best Novel category. In the right-hand panel of my blog, you’ll find my “Currently Reading” widget which is just the RSS feed for my GoodReads status updates. Three of the four books I’m currently actively reading are finalists. I’m listening, or attempting to listen despite major shortcomings of the Axis 360 app, to Ann Leckie’s Provenance. When I get too frustrated with listening, I switch to the ebook edition. Last night and this morning, I’ve been powering through the middle of Raven Stratagem. Earlier this week and most of last weekend, I immersed myself in the 1943 Best Novel finalist Islandia by Austin Tappan Wright.